"Dragon" redirects here. For other uses, see Dragon (disambiguation). The Dragon Mouse is a breed of mouse found in Dracano. It is known to drop Dragon's Chest, Dragon Ember, and Ancient Relic, as loot. Cheese: Inferno Havarti cheese Charm: ?? High above the summit of Dracano circles the terrible Dragon mouse, scourge of the Tribal Isles. To this date, no trap has withstood the Dragon's fiery breath, and all attempts to hunt it have reduced the most advanced traps to smoking debris. Legend has it that the Acolyte Mice held the key to controlling the Dragon, but now that they are trapped in another realm, the Dragon mouse has expanded its territory. The Tribal Isles need a brave MouseHunter to confront this menace, before it sets its sights on Gnawnia! The Dragon Mouse has been found to be especially attracted to Inferno Havarti cheese, to the point that any other kind of cheese will simply not suffice. Only Draconic type weapons such as Ice Maiden are very effective against the Dragon Mouse. All other weapon types are ineffective. Hunters can arm the Dragonbane Charm to improve their chances of catching the Dragon Mouse. The Dragon Mouse drops the Dragon Egg during the annual Spring Egg Hunt. 29 September 2009: The Dragon Mouse was introduced with the opening of the Dracano location..
Seen from a great distance, soaring high above the summit of Dracano, the Dragon mouse is terrible to behold. The mice of the Elub, Nerg and Derr have a mutual respect for the Dragon, often traveling through the treacherous Jungle of Dread to make offerings of Inferno cheese to keep the Dragon mouse from ransacking their villages. Lore tells us that the Dragon does have a weakness, but no Trapsmith has succeeded in building a trap that is powerful enough to withstand the might of the Dragon mouse. Their attempts have all resulted in a smoldering pile of debris, as no trap has been capable of withstanding its fiery breath. It has been said that long ago, before their defeat, the Acolyte mice discovered the Dragon Mouse’s true weakness. If it were not for the efforts of Plankrun, the Acolyte mice would have succeeded in their plan to enslave the Dragon mouse as a soldier in their armies. With the Acolyte mice long locked away in another realm, the Dragon mouse, lacking any opposition, has been slowly expanding its territory. Now with its sights set across the Rodentia Ocean at Gnawnia, what MouseHunter will heed the call to stop the Dragon mouse from ravaging the Kingdom? 14 April 2011: The Dragon Mouse began dropping a bonus Dragon Egg as loot during the Spring Egg Hunt 2011. 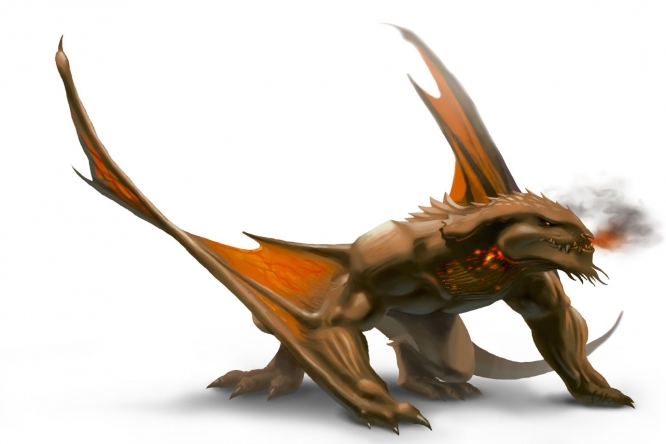 29 August 2012: The Dragon Mouse began dropping Ancient Relic as loot. A recent Dragon attack has left the marketplace slightly singed! We are currently doing maintenance on the marketplace. Any marketpace items or unclaimed gold will be available when the marketplace returns. This page was last edited on 30 May 2018, at 10:07.